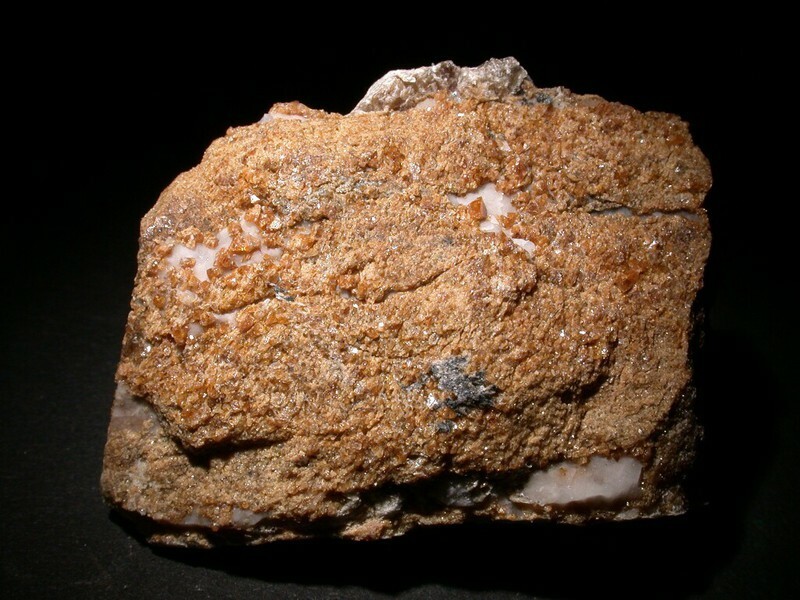 Fluorcalcioroméite: Mineral information, data and localities. Atencio, D., Andrade, M.B., Christy, A.G., Gieré, R., and Kartashov, P.M. (2010) The pyrochlore supergroup of minerals: nomenclature. The Canadian Mineralogist: 48: 673-698. Atencio, D., Ciriotti, M.E., and Andrade, M.B. (2013) Fluorcalcioroméite, IMA 2012-093. CNMNC Newsletter No. 16, August 2013, page 2698. Mineralogical Magazine: 77: 2695-2709. Atencio, D., Ciriotti, M.E., and Andrade, M.B. 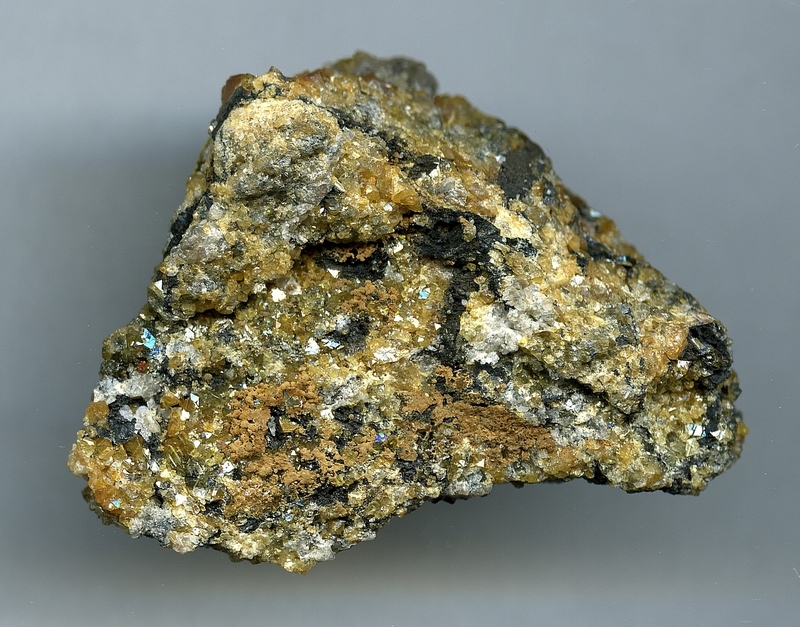 (2013) Fluorcalcioroméite, (Ca,Na)2Sb5+2(O,OH)6F, a new roméite-group mineral from Starlera mine, Ferrera, Grischun, Switzerland: description and crystal structure. Mineralogical Magazine: 77: 467-473. Brugger, J. and Giere, R. (1999) As,Sb,Be and Ce enrichment in minerals from a metamorphosed Fe-Mn-deposit, Val Ferrera, Eastern Swiss Alps. 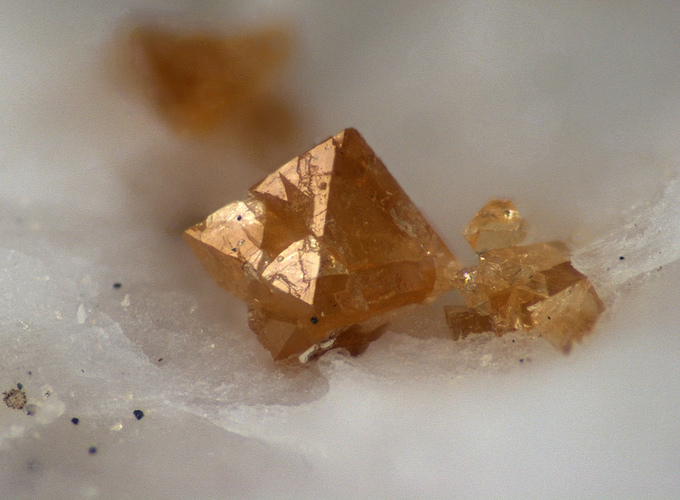 Canadian Mineralogist: 37: 37-52.; Roth, P. & Meisser, N. (2013): Die seltenen Mineralien der Bündner Manganvorkommen. Schweizer Strahler 47 (3), 8-21 (in German and French). ; Pavel M. Kartashov analytical data (2013); Atencio, D., Ciriotti, M. E. & Andrade, M. B. (2013): Fluorcalcioroméite, (Ca,Na)2Sb5+2(O,OH)6F, a new roméite-group mineral from Starlera mine, Ferrera, Grischun, Switzerland: description and crystal structure. Mineralogical Magazine, 77, 467-473.